Photographers, writers, illustrators, graphic designers, videographers + translators! 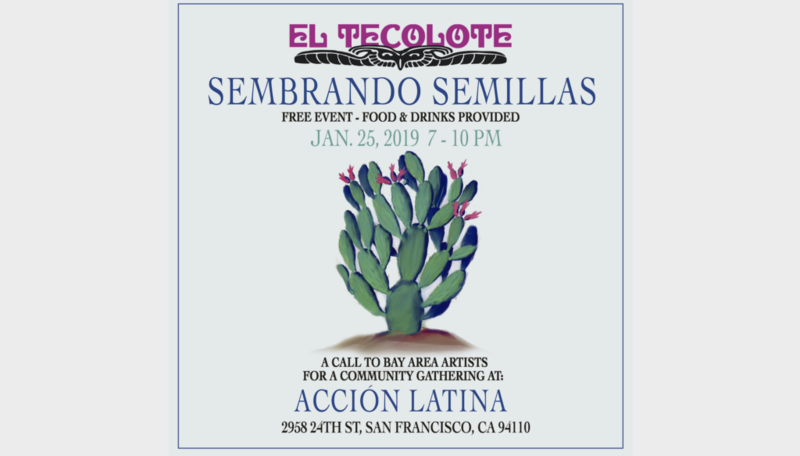 El Tecolote and Accion Latina invite you to our first event of the new year, a special community mixer for any/all who are interested in contributing to the newspaper in 2019. Come through next Friday and meet, eat + drink with us. We would love to connect with all of you and build something together. 2019 is all about planting seeds for the future and tending to the garden that is our community!